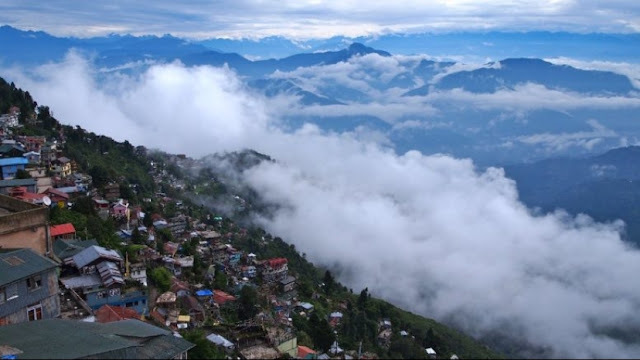 Himalayan Home Stay Owners Association (HHOA ) to Celebrate World Tourism Day on 27th Sept 2018. 2. Tourist Welcome Program at Darjeeling Railway Station At 9:30 am ..Chief Guest Shri Binay Taming, Hon'able Chairman, GTA, And Shri Amar Singh Rai, Guest Of Honour..
Felicitation of tourist with Tikas and Khadas , followed by welcome Darjeeling tea. Students from Sardeswari Govt Girls High School , will be participating in traditional attire, MTB Club and Blue Dragon Adventure and travel for cycle rally, Ambulance by DNPSAA, Doctors by Yuma Nursing Home, Tea by Mayukh, Snacks by Glenarys. Himalayan Homestay Owners Association, Kurseong along with Fatakdara Welfare Society and Kurseong Photography Society is organising an event to celebrate the World Tourism Day on 27th Sept 2018, by felicitation of tourists with Khadas and tea packets. Dr. Rohit Sharma, MLA Kurseong has kindly consented to grace the occasion as Chief Guest. Various experts will be speaking on the occasion .The event will be organised by Preksha Sharma Joint Secretary HHOA and HHOA members.